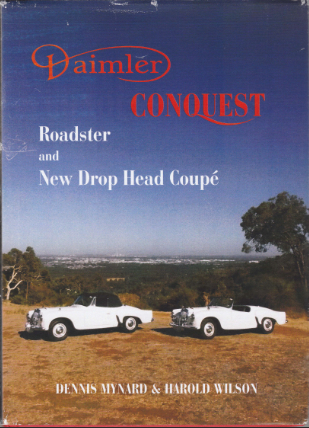 This privately published book covers the Daimler DJ254 which was the Conquest Roadster built between 1953 and 1954, and its successor, the New Drop Head Coupé built 1955–57 and also the DJ255, the left-hand drive cars built 1954–57. These models, a sports and a comfortable three-seater cruiser, were at the time a surprising variation from Daimler’s luxury saloon. In the postwar years Daimler were keen to enter the sports car market and wanted to compete with the likes of the Jaguar XK120. In June 1953 a pre-prototype Conquest Roadster 2-seat sports based on a Lanchester design was produced. It was powered by a specially tuned 100 bhp twin carburettor version of the Conquest engine. It appeared at the 1953 Motor Show where it turned many heads. An improved version went into production in May 1954. I had forgotten that the Conquest name came from the fact that at first it cost £1066 and the Century name came from the 100 bhp engine. The Roadster and the four-seat coupe were replaced in 1956 by the 3-seater New Drop Head Coupé, the third seat sitting sideways behind the driver. There is a chapter on the racing Daimlers with which I got involved some years ago when Harold Wilson, one of the authors, was trying to find out if his car (ORW 655) had a racing history. This was one of the prototypes that the works had lent to Ken Wharton for a number of years. In particular, did it take part in an extra race added to the program for the Daily Express meeting at Silverstone on May 15, 1954? 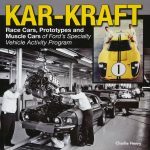 The car was not eligible for the advertised sports car race as it was a prototype. The prototype race was added to the program at the last minute. We know Ken Wharton took part, but in which car as the listings were too late for the printed program? Neville Hay, who commentated on the race, writes that he “clearly recalls Ken Wharton driving the Roadster in the prototype race.” Sadly, no photographic evidence has been found to back up this observation. Research is sometimes very frustrating! As you would expect, the authors have gone into great detail on each model, including a very comprehensive production register. 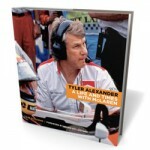 Chapter 8 “Some owners and their cars” makes interesting reading. There was the car that was used in a series of robberies that involved the shooting of a police sergeant and a night watchman in Sydney. The crooks were caught, the car impounded and then auctioned by the police only for “it to be left in a field near Lake George, its only protection being a sheet.” It has since been retrieved and restored. There is a long and interesting piece by Australian Tom Saggars about his purchase of a New Drophead Coupe in Wales and the problems of shipping it back home. Later wanting a new windscreen he had to buy a complete Roadster that happened to have a spare screen. The story is well told, the photo of the latter car horrific but it too has been restored. 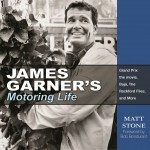 An interesting book that will appeal to more than just the owners of the models described. 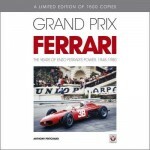 Because it is only a print run of 300 the price is a little high, partly due to it having been produced in hardback, giving it a far better feel. Copyright 2014, Michael E. Ware (speedreaders.info).